The Star Wars Millennium Falcon compact waffle maker is designed to add some culture from Rebel Alliance to your breakfast. Like the idea? Let’s have a look. 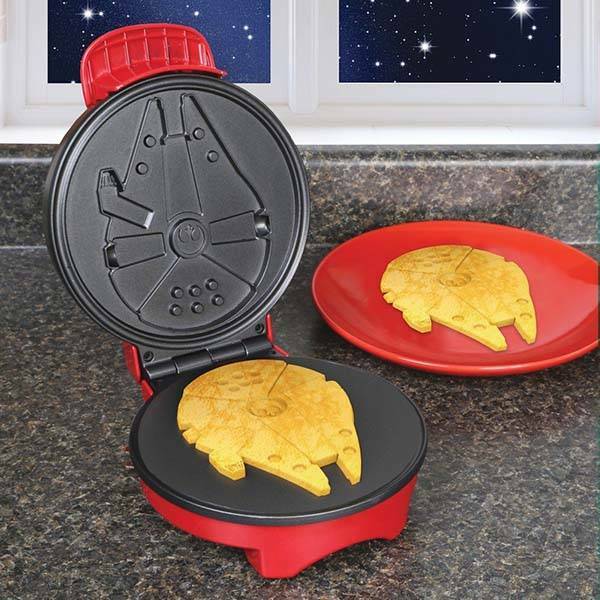 This is a pretty cool and practical waffle maker themed by Star Wars. It measures 9.5 x 7.75 x 4.75 inches and weighs 2.95 pounds. As we can see from the images, it’s designed based on Millennium Falcon, one of the most iconic starships in the universe of Star Wars, so using the custom mold, you can make Millennium Falcon shaped waffles that deliver accurate silhouette and decent detailing. The Millennium Falcon waffle maker is built from stainless steel for a solid construction, and its coated non-stick waffle plate lets you effortlessly make your favorite waffles in minutes. And five temperature settings allow your waffles to meet different personal tastes. Moreover, dual indicator light lets you know when the iron is hot and when the waffle is ready. The compact design ensures it can be stored with ease when not in use. 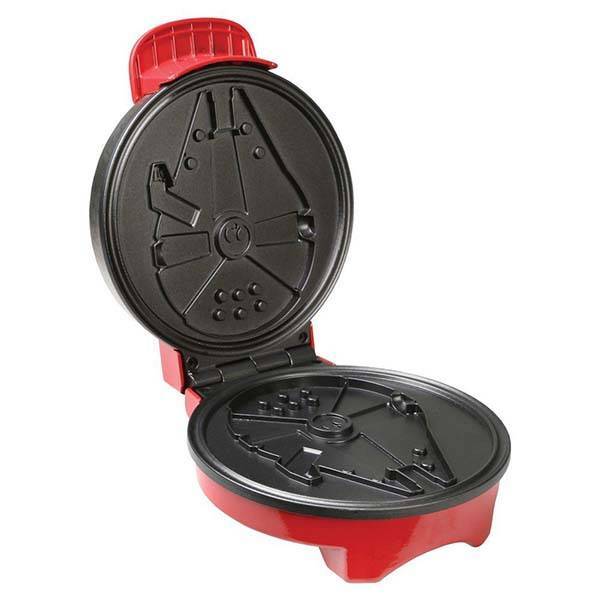 The Star Wars Millennium Falcon compact waffle maker is priced at $39.99 USD. If you’re interested, jump to here for its more details.